This delicious fruit tart pie is packed with healthy fruit so I don’t feel too guilty enjoying a piece of this pie because I tell myself “it’s mostly fruit” – that must mean it’s kind of healthy, right?! Probably not with all that delicious cream cheese filling but we’re all allowed an occasional treat! 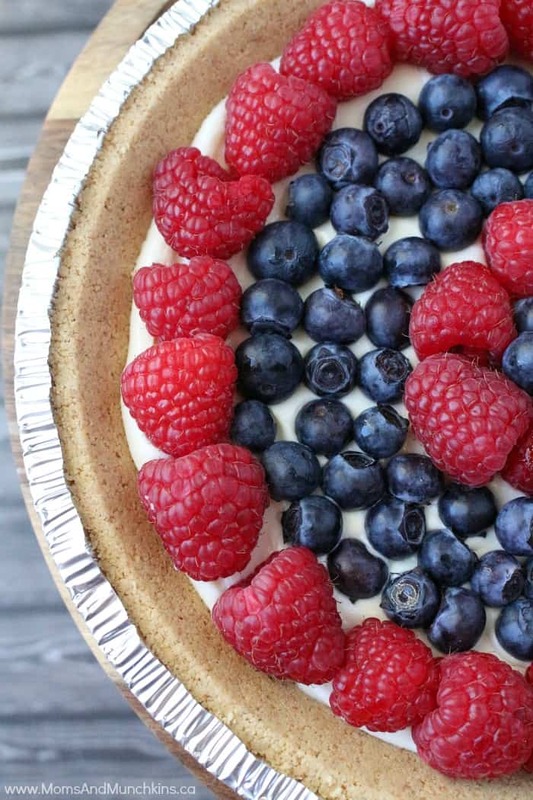 Any type of fruit is yummy over this cream cheese filling: raspberries, blueberries, strawberries, kiwi, peaches or even canned pie fillings like cherry or apple. I start off with a graham crust that’s already made & ready to be filled. It’s a quick alternative that still tastes great. 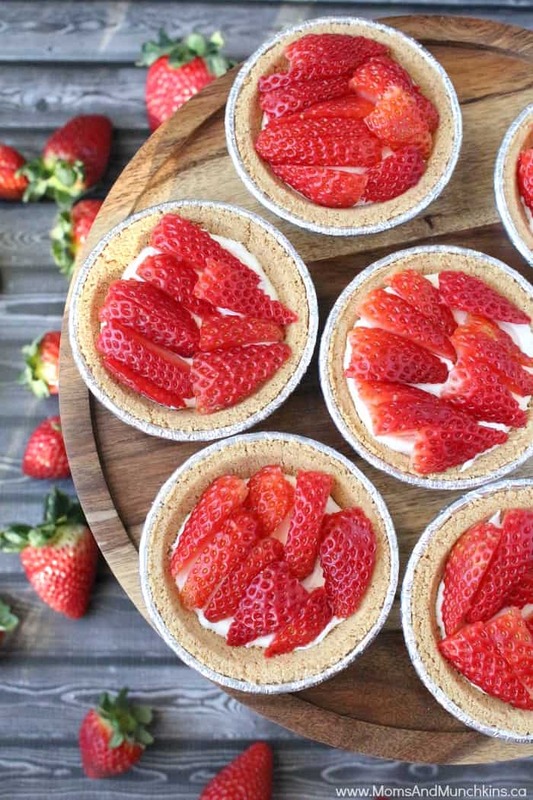 Using the prepared tart shell makes this an incredible easy party dessert idea. If you want to start from scratch with a tart shell, I’d recommend the shell I used in this Poached Pear Tart. 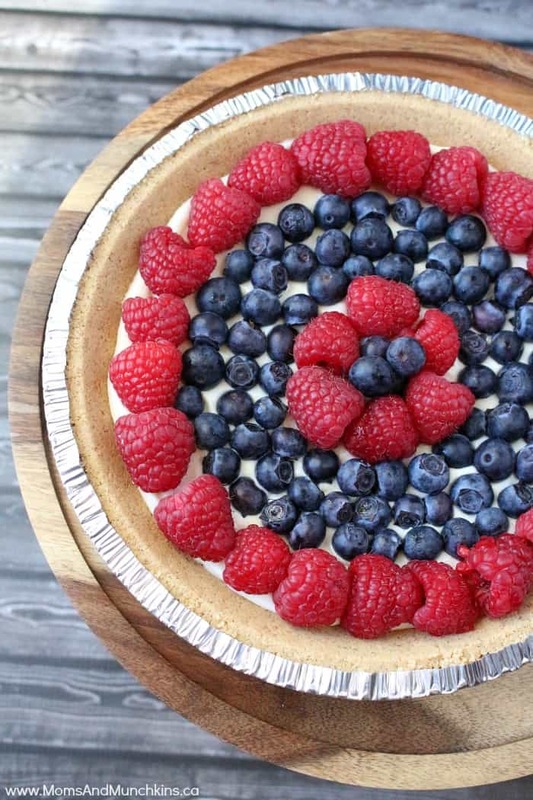 This fruit tart pie is both delicious & easy to make! Beat the cream cheese, sugar and icing sugar together until mixed well. Stir in the shredded coconut. Fill the bottom of the pie crust with the cream cheese mixture. I usually use about half of the mixture in one pie shell. You can use the extra for a second pie or Strawberries and Cream Pancakes (see the recipe link below). Top pie with sliced fruit (pile it on as high as you'd like). 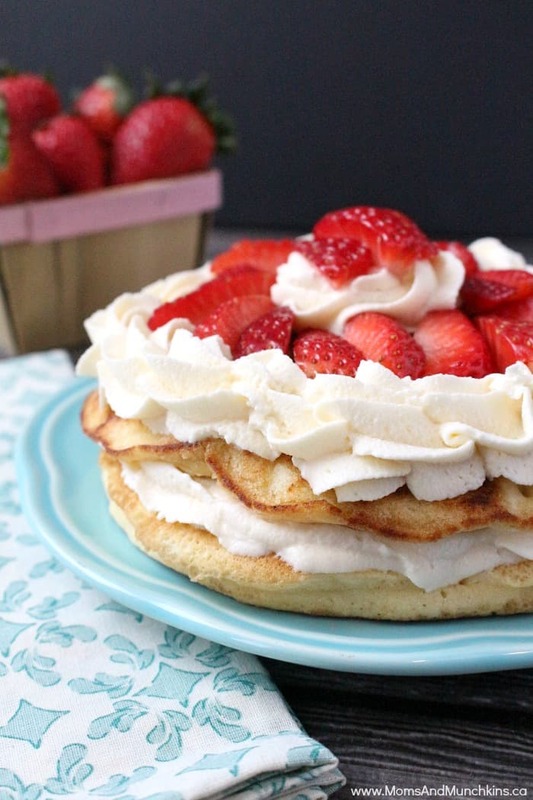 The leftover cream cheese mixture can be used to make these delicious Strawberries and Cream Pancakes. For a slightly different but equally delicious filling, check out this Tart Filling recipe. For more delicious recipes, check out our special Recipes page. Never miss a tasty update by following us on Facebook, Twitter, Pinterest and Instagram. 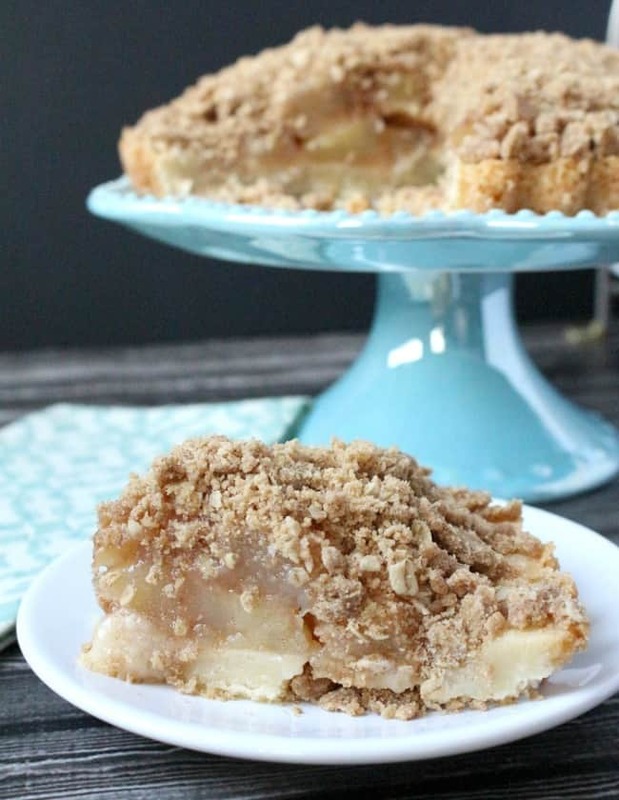 Pinned your recipe AND started a new Board called Blogs I Love and put your button on it! So sweet of you – thank you so much! MMMMM, this looks so tasty! My boys would LOVE that!!! This looks Great! I think even my kiddos would like it. Not my type of dessert but it does look good!! I might have to make this for Thanksgiving since I know a few people who’d love it! Thanks for the recipe!